Maintenance of healthy teeth, gums and fresh breath is simple if it is done regularly by using good home techniques and on average, six monthly visits to Frederick Street Dental Care. We can then identify any changes to your teeth or gums and pick up any potential concerns before they have a chance to develop. Our holistic approach is designed to thoroughly analyse all aspects of your dental health and well-being. Your Hygiene maintenance appointments combined with our comprehensive examination covers a wide range of areas. This includes monitoring of many conditions such as gum recession, hairline cracks in your teeth, dietary habits, jaw joint imbalances and oral cancer screening. 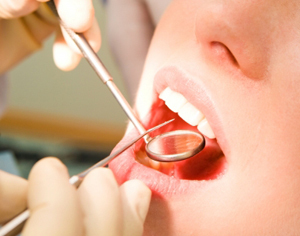 At Frederick Street Dental Care, we are committed to our patient’s oral hygiene. Our dental hygienist has a range of hygiene and stain removal treatments to address tooth discolouration. While staining on teeth is very common, it can make people feel uncomfortable and nervous in social situation. Some people naturally have a slight yellow or grey tinge to their teeth, but we are able to provide solutions that enable patients to smile with confidence again. Regular treatment with the dental hygienist goes a long way to achieving this aim, whilst keeping your mouth feeling and looking healthy, comfortable and your breath fresh. Brush with a small soft tooth brush using a circular action to the gum level as this is where most plaque builds up. Move along one tooth at a time with the brush head angled down to the gum line to ensure nowhere is missed. Change your tooth brush around every 3 months or when the bristles start to splay, whichever comes first. If the bristles are splaying much sooner you need to use a more gentle action. Daily dental flossing at a time that suits you best is recommended as brushing alone does not clean effectively around all the surfaces of your teeth. If the gum bleeds when you floss or brush don’t let this put you off. Gums often bleed from areas that are inflamed. These areas will require more attention than normal to heal up, not less! Wind floss around your middle fingers to keep it taut. Then place the floss over the tips of your first fingers to reach your back teeth. Ease the floss between your teeth with a gentle sawing action and then clean with an up and down movement. Few people have such a thorough brushing and flossing routine that they would not benefit from the use of mouthwash and or specialised gels. An excellent daily mouthwash can help eliminate food debris and bacteria that has not all been removed by brushing and flossing and can be very effective at combating bad breath and decay. We can also explain about mouthwashes and specialised gels that are particularly helpful in preventing decay in those prone to ongoing problems or in treating gum disease. Tongue cleaning is an important part of your oral hygiene and fresh breath program. The back of the tongue is a reservoir for organisms that cause gum disease, tooth decay and bad breath. A tooth brush can be used on your tongue to gently sweep this substance away to reduce the bacteria in your mouth and freshen your breath. The frequency of eating sugary foods and drinks including dried fruits, cough lollies, muesli bars, fruit juices, citrus drinks, cordials, sugar in coffee or tea etc can have an enormous impact especially with regards to the development of decay. We can advise you about your individual circumstance and the best ways to reduce your decay risk. Although these beverages contain a high level of phosphorous, which is a necessary mineral for a healthy mouth, too much phosphorous can deplete the body’s level of calcium. This causes dental hygiene problems such as tooth decay and gum disease. Beverages containing additives such as corn syrup and food dye can make pearly white teeth appear dull and discolored. Therefore, it is best to choose beverages like milk, which helps strengthen teeth and build stronger enamel, giving you a healthy, beautiful smile and water which hydrates your body longer than sugary drinks. You need plenty of calcium for your teeth. It is essential for the teeth as well as your bones. It is better to drink milk, fortified orange juice and to eat yogurt, broccoli, cheese, and other dairy products. You can also take a calcium supplement, taking different doses according to your age and necessity as per prescription. Calcium and Vitamin Dare necessary for maintaining the health of gums and teeth. Vitamin B complex is also essential for the protection of gums and teeth from cracking and bleeding. Copper, zinc, iodine, iron and potassium are also required for maintaining healthy dental hygiene. Book your hygiene appointment to evaluate your oral health. With our dental hygiene treatments, we promise that you will have a healthier, brighter smile in just one visit. The Practice is Open 7 Days a Week, including on bank holidays, so you do not need to take time off from work to see us for an appointment. You can book an appointment by calling us on 0131 629 1158 or emailing us.